Notes: The Thorax Dun is a variation off the Catskill Dry by Vince Marinaro. 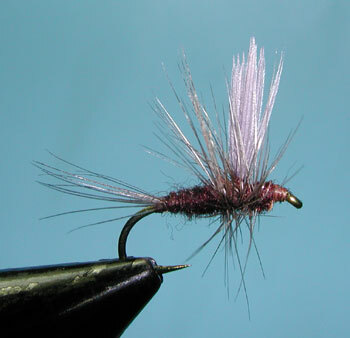 During the 1940's , Vince examined the smooth waters of the Letort Spring Run in Pennsylvania and concluded the need to develop a fly that would more realistically represent the sillouette of the mayfly than the Catskill Dries did. He noted that trout rises on the Letort were dependent upon the profile of the wing and the appearance of the fly from under the water. He saw that the mayflies were supported on the water by their legs, not it's body or tail. Vince redesigned the standard Catskill Dry so that the wing was positioned further back towards the middle of the shank to balance the fly. Since the body should be elevated above the water surface, Vince heavily hackled both behind and in front of the wing. Two hackle would be attached on the shank in front of the wing. One hackle would be one size larger than standard and would be wrapped with the top hackles forward of the wing and the bottom hackle behind the wing. 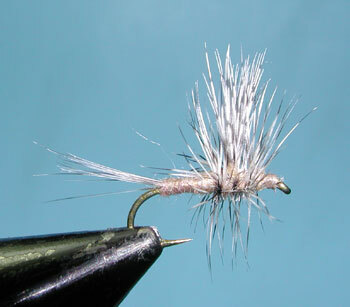 The second hackle would be one size smaller than standard and would be wrapped crossing the first. The top hackles would be behind the wing and the bottom hackles would be in front of the wing. This type of hackling allowed the fly to keep all it's parts above the water, except the legs. 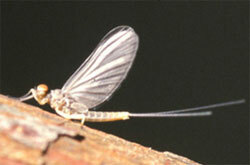 Vince also found that the color of the wing needed to match the color of the mayfly it was to represent. He insisted that the hackles should also match the color of the wings. The color of the body was secondary to the color of the wings and hackles. 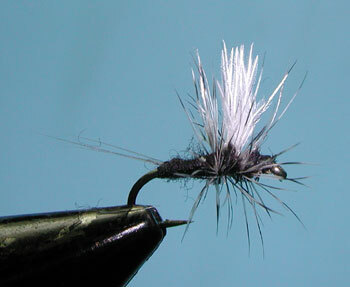 Originally, split tails were designed into this pattern to help stabilize the fly on the water surface. 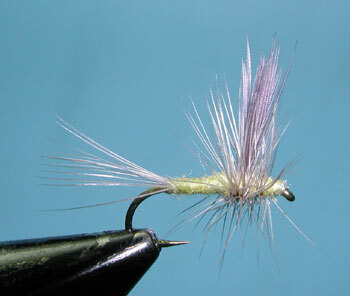 Today, many thorax dun patterns are tied with a single hackle, which is clipped at the bottom into an inverted V shape. This was a technique that Mike Lawson of St. Anthony, ID made popular and would extole this pattern for Spring Creeks and other smooth waters. 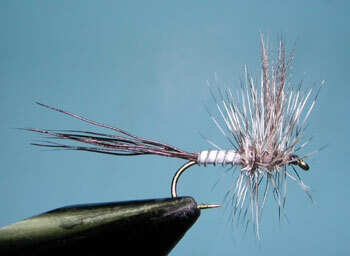 It is certainly much easier to tie with one hackle. Within the Sierras, the pattern is especially applicable to the Lower and Upper Owens River during low flows. 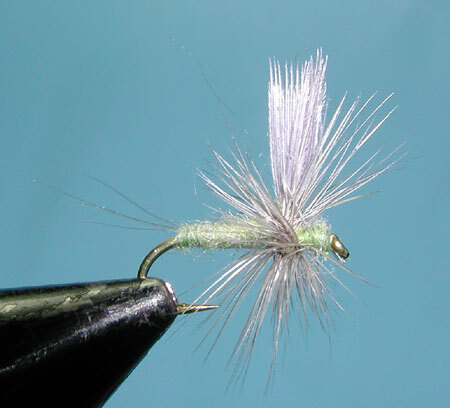 Larry Medina came up with a nice variation, the Gray Thorax Dun, which he used during the evening hours on some high elevation Sierran streams.